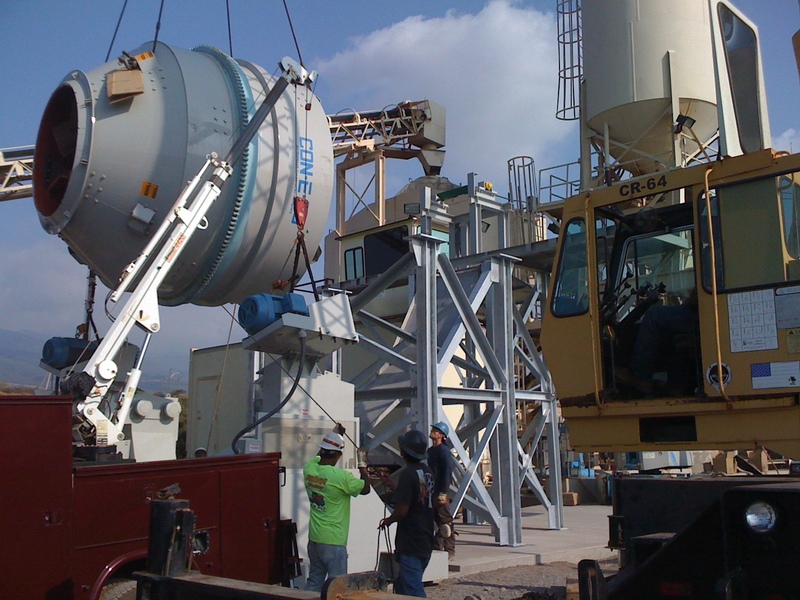 DHE Inc. can provide dry to wet plant conversions for portable and stationary concrete batch plants. The CON-E-CO Tilt and HRM mixer design provides for a low silhouette mixer application to fit into most dry plant operations. 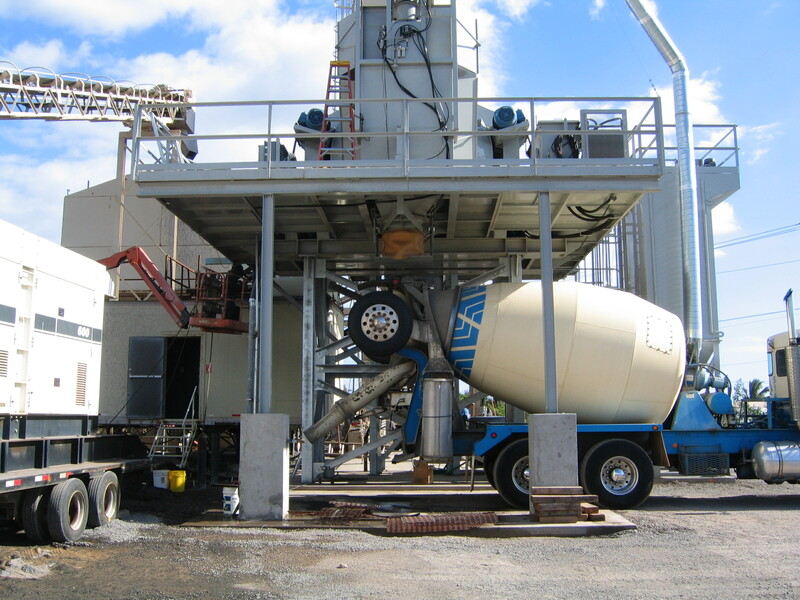 On-site as built engineering is completed for a formal presentation to the concrete plant owner. Typically the existing batch transfer conveyor is extended and incorporated with a new Cement Weigh Batcher. The CON-E-CO mixer support legs are customized to pair up to the existing plant foundation. The mixer legs and mixer is a module addition for the dry plant conversion. 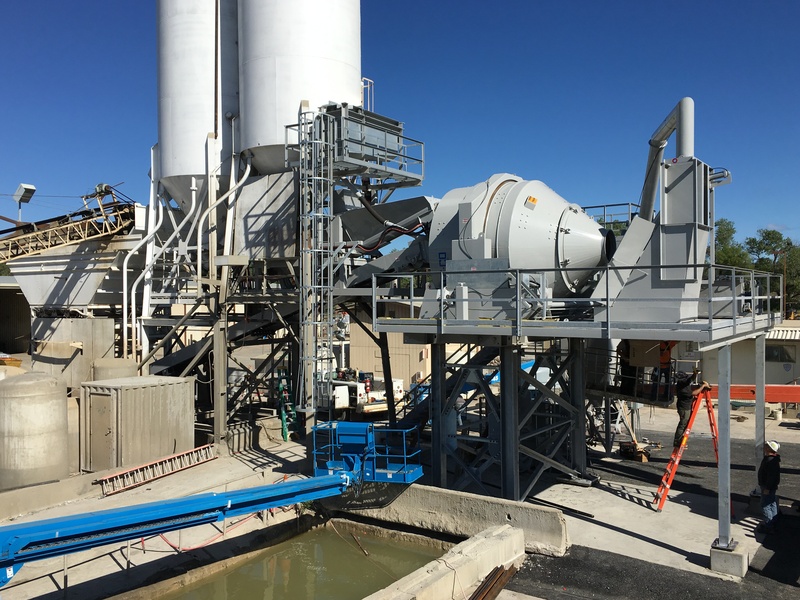 If the concrete market changes in the future, the new CON-E-CO wet plant can be converted back to a dry plant operation.